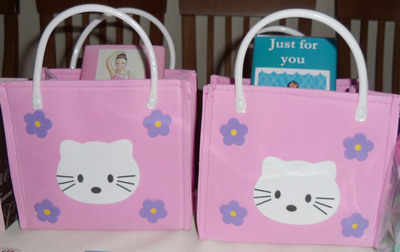 Cat Motif Foam square hand bag with white plastic handles. Bag available to buy on its own or with a personalised chocolate bar inside (any wrapper design with personalisation on the front and back of the wrapper). Please choose a children's wrapper design from the drop down menu below and type in the freetext box what personalisation you would like on the wrapper.